The annual Festival of Lights returns this Friday! The Oil Center tradition provides a fun way to shop in a festive atmosphere and heralds the beginning of the holiday season in Acadiana. Following Friday’s big event are four Saturday events: a canoe trip, an open house for potential pets, renaissance dinner and a pub crawl. Have fun! 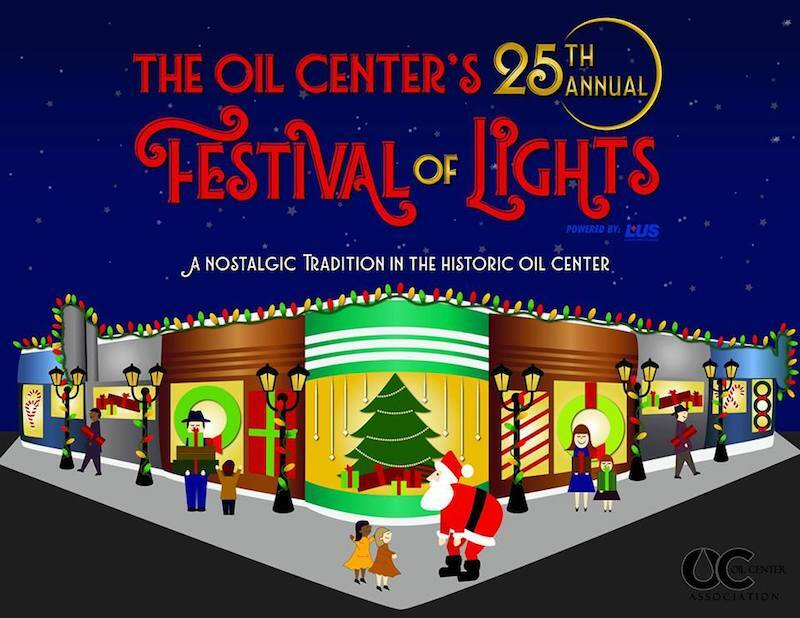 Nov. 30: 25th Annual Festival of Lights: An Acadiana Tradition, The Festival of Lights will take over the Oil Center this Friday evening from 5-9 p.m. Admission to this festival is free, and attendees can meander the Oil Center after hours and to peruse presents from local shops in the warm glow of Christmas lights. In addition to late-night shopping, attendees can look forward to family friendly activities such as photos with Santa, live music, horse-drawn carriage rides, food and drinks from local vendors and more. Attendees can purchase family packs in advance here for $25. Each family pack comes with 30 tickets for fun activities, food, drinks and a festival guide map. Dec. 1: Virgin Cypress Paddle Trip, Fall Colors Edition, Lake Fausse Point: Pack & Paddle’s series of outdoor explorations continues with this trip to paddle through the ancient cypress trees of Lake Fausse Point this Saturday at 8 a.m. The scenic trip will take about two-and-a-half to three hours to accommodate photography of the fall foliage and Spanish Moss. Tickets are $55 person and include canoes, kayaks, paddles, lunch, and guides. Dec. 1: Holiday Open House at Acadiana Animal Aid, Carencro: Acadiana Animal Aid’s property will be 10 acres of winter wonderland this Saturday from 10-2 p.m. for its annual open house! Children and adults alike can engage in ornament-making and indulge in some gumbo and hot cocoa, plus pictures with Santa! Adoptable cats and dogs will be available for meet-and-greets! If you’re interested in adopting a new family member, please visit acadianaanimalaid.org to fill out an application to be pre-approved to bring a new loved one home before the event. Dec. 1: A Very Madrigal Dinner, Abbeville: The Vermilion Arts Council will kick off the holiday season at Brookshire Farm with a renaissance themed five-course dinner. Wassail, a traditional mulled wine, pate’ and greens, roasted meats and root vegetables, persimmon pudding and coffee and biscotti make up the meal. Servers will be in renaissance costumes, and comedy skits will be performed between courses. Gypsy Dawn Consort will perform. Costumes are welcomed! Doors open at 6 p.m. and the dinner begins at 7 p.m. Proceeds benefit a free concert at St. Mary Magdalen Catholic Church slated for February 15. Tickets are available at vermilionartscouncil.org. Dec. 1: Downtown Christmas Crawl, Invasion of the Santas: This Saturday, Social Entertainment will host a Christmas-themed bar crawl with wintery brews. Texas Brewery Shiner’s Holiday Cheer, a dunkelweizen (dark beer) with notes of roasted pecan and peaches will be on tap, as well as Shiner’s perennial staple, Shiner Bock. Participating bars include the Wurst Biergarten, Marley’s, Nitetown, Jefferson St. Pub and Legend’s. Tickets are $20 at socialentertainment.com. Registration will be held at Rock N Bowl from 5:30-6:45 p.m.